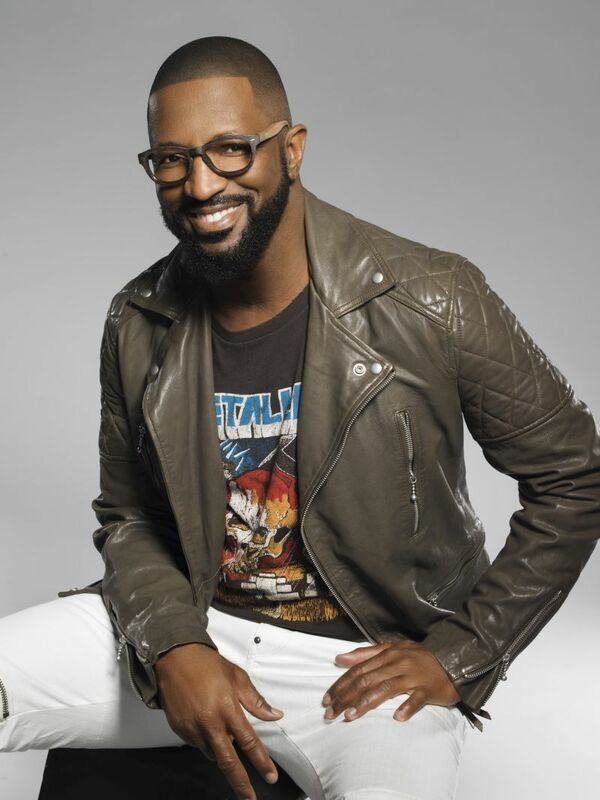 Comedy legend and entertainment mogul, Rickey Smiley brings uproarious laughter to the world through his magnetic and sharp style of humor. The powerhouse performer brings his impeccable timing to a number of successful media platforms and has the distinct ability to take everyday observations and turn them into comedic gold. As a beloved comedian, television host, actor and top rated nationally syndicated radio personality; Smiley has become one of the entertainment industry’s most celebrated performers. Through his brilliantly crafted career of bringing humor to the masses, Smiley has established himself as a potent pillar of talent with the capacity to reach a multitude of audiences. Smiley is one of the few “clean” comics amongst the top tier of contemporary great comedians and has amassed a deeply loyal fan base of enthusiasts who gravitate to his quick-witted delivery and captivating energy. Coming from his humble roots of Birmingham Alabama, Rickey rose to superstardom after igniting his 25-year career serving as opening act for Industry titans such as Steve Harvey, George Wallace, and Carl Strong. Throughout his career trajectory, Rickey has been one of the industry’s most towering forces in building an impressive empire that has landed him preeminent roles on radio, television, film and on-stage performances. On the fast track to stardom, in 2000 Rickey started his climatic rise to stardom as the headlining host of BET’s “ComicView” and became further distinguished as the only comedian who has had the honor of hosting two consecutive successful seasons catapulting the show to it’s highest ratings in history. After achieving this milestone, BET then quickly signed Rickey to host “The Way We Do It” during the 2001-2002 season, which later became one of the networks top five shows. Smiley also delivered unforgettable appearances on "Showtime At The Apollo," "Uptown Comedy Club", HBO's "Def Comedy Jam” and "Snaps." Rickey Smiley continued to take the world by storm with his unique blend of comedy and originality as he sought to further master his craft and conquer the world of radio. In 2007 Smiley became the host of the Rickey Smiley Morning Show, one of the funniest and most compelling radio programs in the country. Based in Atlanta, in over 55 markets, and growing, the Rickey Smiley Morning Show is a blend of laughter, social issues and celebrity news. Daily millions of fans faithfully tune in and listen to the hysterical show best known for its rib-tickling prank phone calls, as Rickey delivers witty commentary and unpredictable humor. Using radio as an uplifting message vehicle, Rickey’s insightful yet humorous interviews with A-list celebrities raise social and political awareness. Smiley’s down-home southern charm and philosophy to use insight rather than vulgarity to evoke laugher, is one of the many reasons he forged partnership with Radio One the most respected urban broadcasting conglomerates in the world. The Rickey Smiley Morning Show is featured within a wildly popular daily entertainment news television show on Dish Nation. The show is paired with other nationally syndicated radio personalities and airs weeknights on FOX affiliates. Rickey continued to perform sold out shows where his diverse audiences were drawn to original characters such as "Mrs. Bernice Jenkins,” “Lil' Daryl,” “Joe Willie” and "Beauford." After mastering his signature characters, Rickey headlined The Laugh and Shout Experience tour featuring Rickey as “Minister Joe Willie”. Joined by the Deuteronomaires featuring Gospel artists Earnest Pugh, Zacardi Cortez, and Darlene McCoy is set to resume Fall 2014. As the wildly popular comedian continued to span his audience and entertain people of all-ages, Rickey then joined forces with Radio One owned television network, TV One as the star, executive producer and namesake of his own top rated sitcom, “The Rickey Smiley Show”. The amusing series features the balancing act of a working comedian with the joys and pains of being a single father of three; a character that parallels his own life. It also profiles Rickey as he masters the riggers of radio with a whimsical spin on office politics, social issues, celebrity appearances, and music - all threaded around rich humor. Growing up in the church filled with colorful characters and content Smiley drew inspiration and developed his signature characters that have visibly become apart of his comedic trademark. From Bernice and her bizarre church announcements to Coach McClainy and his lack of motivational skills, Rickey’s audiences have developed a fierce loyalty and desire to his impersonations. Smiley’s growing character base have found their way to 8 best selling CDs including iTunes #1 Best Selling Comedy Album, "Rickey Smiley- Prank Calls Number 6." His additional credits include hosting BET's comedy concert DVD "Open Casket Sharp". Rickey served as host of the prestigious Trumpet Awards in 2012, the 29th Annual Stellar Gospel Music Awards in 2014, and the 2014 NAACP Image Awards Dinner & Pre-Party, as well as presented at the NAACP Image Awards Ceremony. Life off-stage, Rickey is dedicated to empowering and enriching the communities in which he serves daily. This performer has a heart of gold reflected in his burning commitment and ongoing desire to champion underserved youth through his financial support and the utilizing of his powerful platforms to be a change agent for the greater good of his community. Rickey Smiley also is an esteemed and honored member of Omega Psi Phi Fraternity, Incorporated and cherishes parenting as a devoted father.